Working out in a gym is one of the many tedious jobs you have to do in order to maintain a healthy lifestyle and good body posture, yet it is very fulfilling if you were able to make it part of your lifestyle and a routine. However, you will really have to make a decisive move for you to achieve your goal by getting up and work out on a permenant basis. But over time you may lose your motivation and begin to feel that it’s not working for you and you have a tendency to procrastinate over things so you will eventually stop. Well I have a some good news! 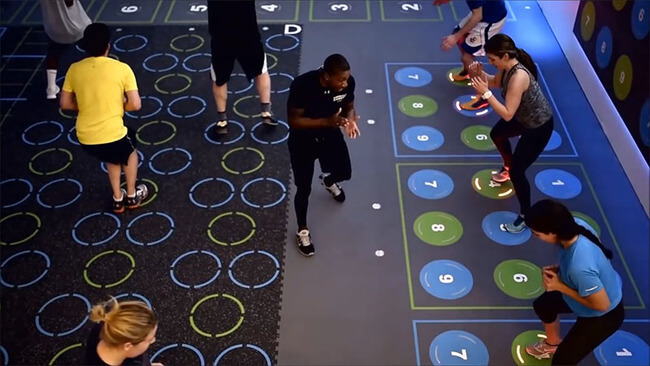 A New York City-based non-profit sports and recreation center named Asphalt Green have found a way and created the ultimate gym for people that like to enjoy and have fun while they are working out. 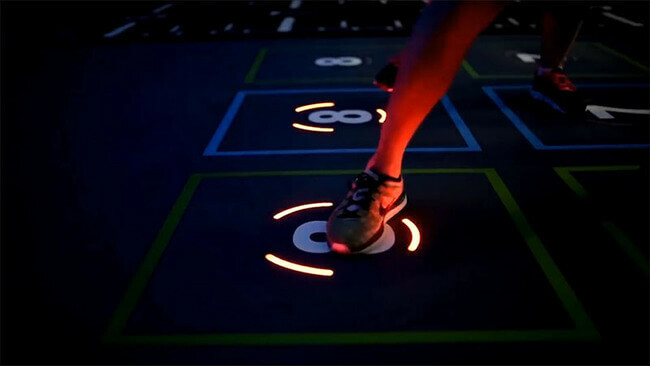 The Upper East Side gym, named AG6, has gamified their workout and transformed it like a big video game with a set of activities where you play with lights that guide you through each section. In this manner, you will be able to identify how the lighting has varied and swithed into new colors, and the patterns on the floor will guide you to workout properly.